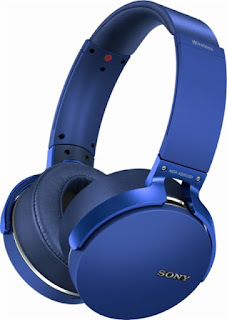 Right now get these Sony Wireless Over-the-Ear Headphones for $89.99 (Retail $199.99)! Enhance your listening experience with these Sony over-ear headphones. The EXTRA BASS feature boosts low-end frequencies for a rich, robust sound, while the long-lasting battery provides up to 18 hours of wireless listening through Bluetooth. The Sony Connect App allows you to adjust bass levels and select preset functions, such as outdoor stage and arena style, letting you customize how your music sounds.